New City Moving is proud to announce our participation in volunteering with The Lincoln Park Community Shelter over the past three weeks. On December 6th, our energetic sales staff had the pleasure of helping prepare and serve hot lunch for people in the community struggling with homelessness. For round one, we made healthy pita pockets, soup, and cookies for dessert. Yesterday, we returned with the spirit of a summer cookout with burgers, fries, and all the toppings. 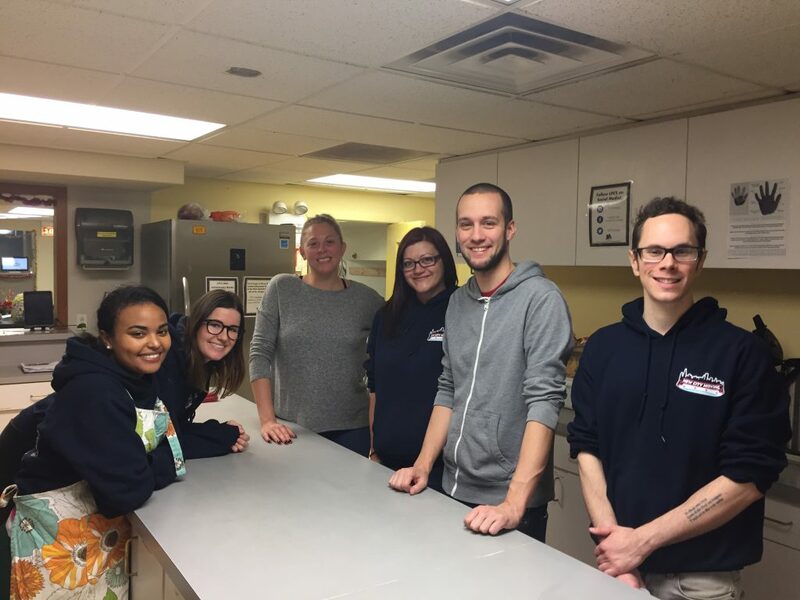 This is our second year volunteering with the Lincoln Park Community Center and cannot stress enough what an enriching, rewarding experience it is to take time out of your day to give back. In addition to feeding people experiencing homelessness, this organization offers interim housing, a financial literacy program, a community engagement program, a graduate community, an independent community living program, and an on track program. The feeling of joy that came from preparing a meal for our friends in the community was palpable and we will be sure to visit again soon. We also wanted to reserve a special thank you to the terrific staff and wonderful Jen Kouba for having us. It was a true honor to be able to brighten the day of our new friends and we will sure to return in 2017. Get involved here. Happy holidays!